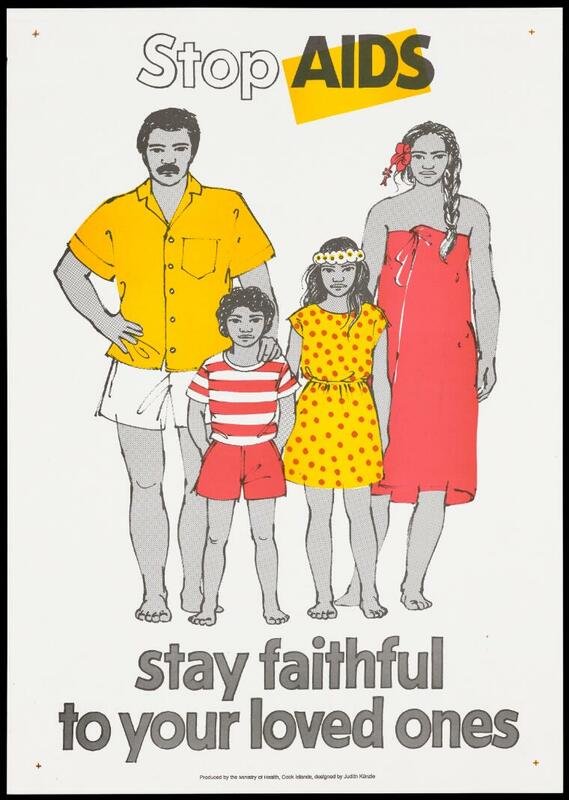 A family from the Cook Islands; representing an advertisement to stay faithful to loved ones by protecting them against AIDS, issued by the Ministry of Health, Cook Islands. Colour lithograph by Judith Künzle. Stop AIDS. Stay faithful to your loved ones. Produced by the Ministry of Health, Cook Islands. Designed by Judith Künzle.